Tianjin, China - is the Medical Stroke and Paralysis Rehabilitation capital of Asia. 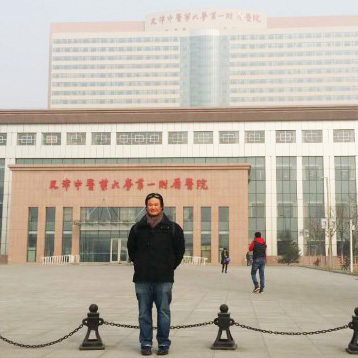 The city of Tianjin, China is considered the medical stroke and paralysis rehabilitation capital of Asia, due to the leadership and scholarly influence of Dr. Shi Xue Min. Dr. Shi created the stroke protocol “Xing Nao Kai Qiao” (XNKQ) which translates as “Awaken the Spirit and Unblock the Orifice”. His research method quickly spread across Asia and is now internationally renown. The XNKQ acupuncture system is unique because it has created a protocol for every type of post stroke sequela. Treatment is successful on treating symptoms including facial paralysis, speech dysphagia and aphasia, as well as different forms of hemiplegia, and muscle spasticity. In addition, there are numerous published articles citing research that has found the application of the XNKQ system to be successful in treating Parkinson’s disease, multiple sclerosis, Alzheimer’s disease and hypertension, at various stages, including its effect on the nerve regeneration, cerebral hemorrhaging, and blood viscosity. Since 1951, Dr. Shi has developed the First Teaching Hospital of Tianjin from 200 beds to a facility with 2,000 beds, treating an enormous 10,000 stroke patients every day. The First Teaching Hospital of Tianjin is also the first AAA-grade hospital of Tianjin, this rating is the highest possible medical rating in China. The Chinese government also recognizes it as a National Clinical Research Center of Acupuncture and Moxibustion, amongst other titles. 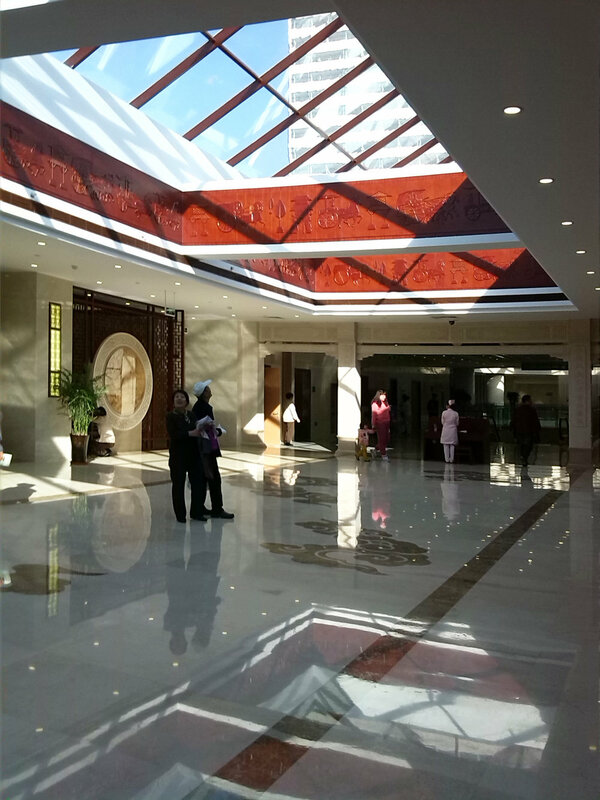 In 2015, Dr. Shi celebrated the opening of the fourth branch of the First Teaching Hospital which is the largest modern Asian hospital of its kind treating stroke and other cerebral disorders. While being treated for stroke symptoms, Tianjin Hospital patients also sees a number of positive supplementary outcomes, including decreased blood pressure and cholesterol. The China Connection Global report found that 46% of Tianjin patients have reduced need for blood pressure and cholesterol lowering medications upon completing the program. This is significant because lowering high blood pressure and elevated cholesterol will decrease the risk of a second stroke, henceforth reaping secondary benefits of this approach. I really appreciated the scale of the stroke facility and its significance when I found out that the city of Tianjin had created an express busline specially for patients and doctors to get to the hospital easily. It demonstrates how important the First Teaching Hospital of Tianjin is to the city and the incredible impact the institution has on the management and healthcare of its patients. Chinese treatment programs for stroke patients are unique and I believe lead to better results for patients in many ways. XNKQ acupuncture is considered the primary modality of treatment to come out of either Western and Eastern medicine because it has been developed from 50 years of research and successful treatments. Stroke patient’s treatment at the Tianjin hospital begins with western medications, however, unlike western hospital treatment, stroke patients at the First Teaching hospital will receive medical care for up to one month. In Western hospitals, stroke victims are often discharged on the day of the event and cannot prolong their stay at the hospital past the 17 day limit. Because of this limitation in U.S. health policy, doctors are given less opportunity to effectively deliver the correct rehabilitation time to the patient. In Tianjin, stroke patients receive almost six health services each day. Two of which are acupuncture to treat the stroke symptoms, followed by a combination of several of the following practices medical massage, physical therapy, moxibustion, speech therapy, herbal medicine, Western medications, and more. Other interesting differences between China and America is the charting of patient information. Tianjin doctors are also required to write in the patient’s personal charting book. This journal tracks all treatments from every doctor the patient has seen and is to be filled out and signed by the doctor themselves. It makes it easier for new doctors to understand what has been provided to the patient and can explain it in better medical terms. The chart is kept with the patient. This allows the communication of medical information to pass efficiently between doctors so that the patient does not have to explain their medical issues in inaccurate layman’s terms. In addition, there is an international patient ward, where patients from all over the world check-in for about two months at a time. There, the rooms are large enough so that their families can also sleep and rest in the room with their loved ones. This kind of characteristic shows the Confuscian family value and morals which the Chinese people are imbued with for thousands of years. During my time researching stroke and cerebral disorders in Tianjin I worked in this ward and saw patients from America, Russia, South Africa and all over Europe. There is also a foreign affairs department which provides a translator to the foreign patients to resolve communication difficulties. Feedback from the patients I worked with is that the treatment and care at the facility was, in their opinion, the most powerful, cutting edge and cost effective system in the world. My impression was that it was a living and breathing example of how acupuncture, values of the Eastern world and the scientific advancements of Western medicine can be integrated to achieve exceptional patient outcomes. For this reason, patients also return to stay for one month to maintain the health of their mind and body and prevent future potential stroke or cerebral neuromuscular events. Also, since the hospital and research continues to improve they also receive the latest benefits of the innovative acupuncture research. I also got to work directly with Dr. Shi Xue Min in the Hall of Great Doctors clinic where all types of patients can be treated by Dr. Shi and other world famous Chinese medicine doctors. It is a great honor for me to have this valuable time to absorb the skills and knowledge, as well as the healthcare approach of Tianjjn First Teaching Hospital. I look forward to continuing my relationship with this institution and playing a significant role in bringing this excellence from the Eastern world to Western medicine. 2015 Nobel Laureate Youyou Tu managed to extract a substance, artemisinin, which inhibits the malaria parasite. First Chinese Herbalist to win the Nobel Peace Prize. Sign up for news about Clayton’s latest research, seminars and visiting cities.